Projects and Awards - AVR, Inc.
AVR, Inc. has long been the preferred supplier on high rise construction large commercial headquarters projects in the Minneapolis area. USA Today recently examined how the U.S. is "in the middle of the biggest hospital-construction boom" in more than 50 years, a trend that likely will increase until 2011. All throughout the metro hospital construction is extremely evident. AVR and AME have been selected on numerous award winning and ongoing hospital construction projects. 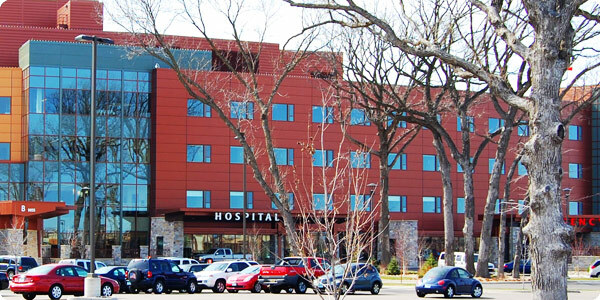 Some of the more notable include: Maple Grove Hospital, Park Nicollet Methodist Hospital, Gillette Children’s, and Minneapolis Children’s, the 2010 ARM Building Excellence Awards Project of the Year. 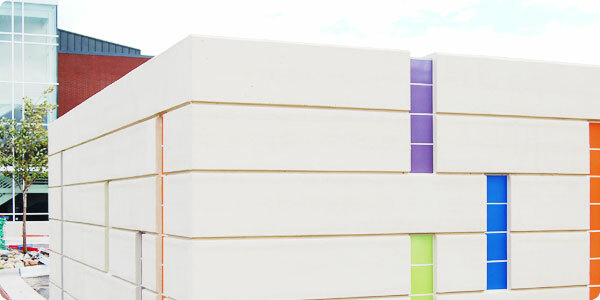 Insulating Concrete Forms (ICF) are an important part of today’s construction technologies. Depending on the project and engineer’s requirements, ICF forms can be easily reinforced with steel to provide excellent flexural strengths. AVR, Inc. has chosen ICF construction for our own new facilities being built around the metropolitan area. The Leadership in Energy and Environmental Design (LEED) Green Building Rating System encourages sustainable green building and development practices. LEED is the nationally accepted bench-mark for the design, construction and operation of high performance green buildings. 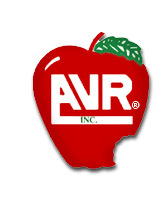 AVR, Inc. & Affiliates has been selected on numerous LEED registered projects. We have successfully produced concrete with over 50% cement replacement rates, pervious concrete, and we lead the market in commercial ICF construction. 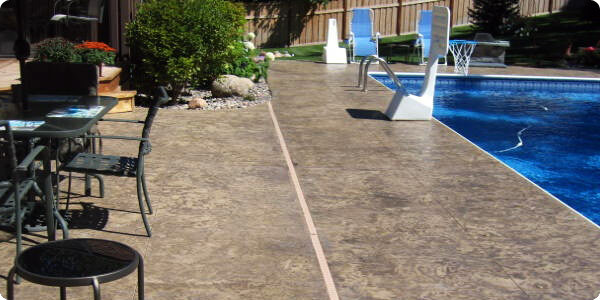 Colored concrete is becoming one of the most popular segments in the ready mix concrete business. 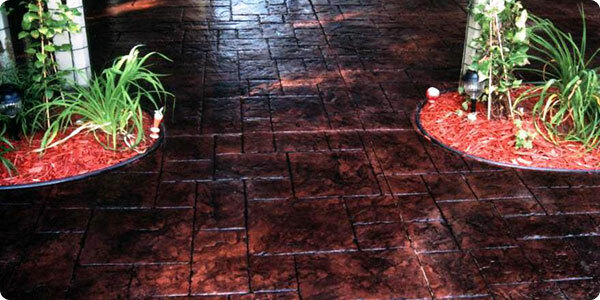 Stenciling and stamping are also growing, making concrete much more decorative all over the country. 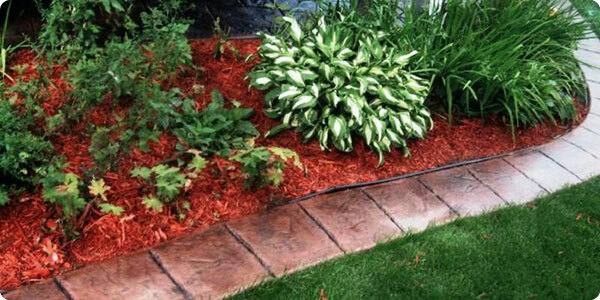 AVR, Inc. & Affiliates offers integrally colored concrete. Liquid color is added to the truck prior to loading. This ensures thorough mixing and provides consistent color throughout the slab. Whether it's a result of the $787 billion federal economic stimulus package or local taxpayer dollars, the increase in publicly funded projects is evident here in Minneapolis. While the president's stimulus package represents a small ray of sunshine in the construction industry, the increase in projects at the municipal level are becoming more and more prevalent. A few notable projects in that AVR has been chosen for are the Blue Lake Waste Water Treatment Facility, the Saint Cloud Waste Water Treatment Facility, and the Apple Valley Transit Station. 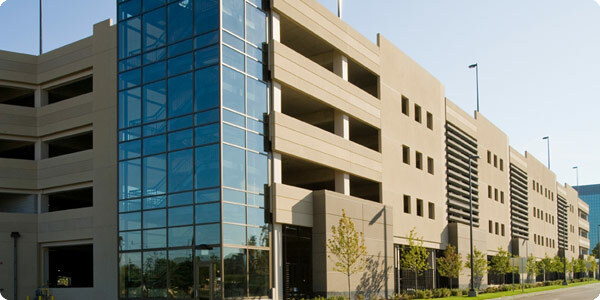 Cast-in-place concrete parking structures have been constructed throughout North America for decades. In most cases, a post-tensioned structural system was selected after careful economic studies and comparisons indicated initial or life cycle cost savings. 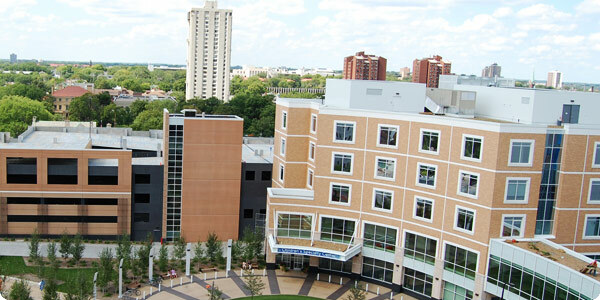 AVR and AME have been selected on numerous award winning parking ramps. From small two-story park & rides to one of the largest ramps at Medtronic CRM Campus with parking for over 4,000 cars, AVR can do it all. 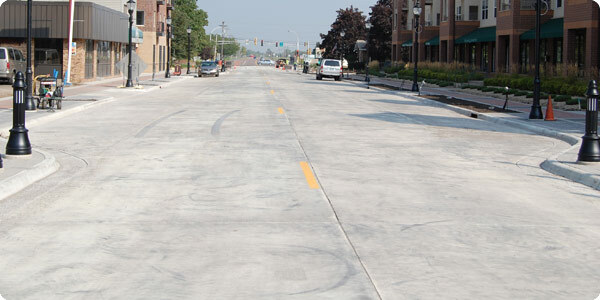 A concrete parking lot or street will offer superior performance compared to other pavement alternatives. 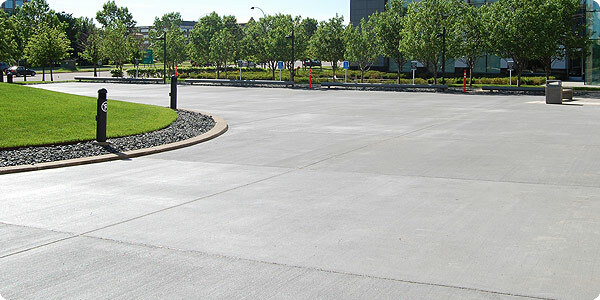 Incorporating straightforward design and ease of construction, concrete pavements for streets, parking lots, and intersections are also the economical choice for the long-term. Concrete is usually thought to be higher in first cost than asphalt. With the steady increase in bitumen, the glue that holds asphalt together, concrete can actually have a lower initial cost than asphalt. Pervious concrete allows storm water to infiltrate directly into the sub grade, minimizing the need for costly land hungry detention ponds and other treatment options. 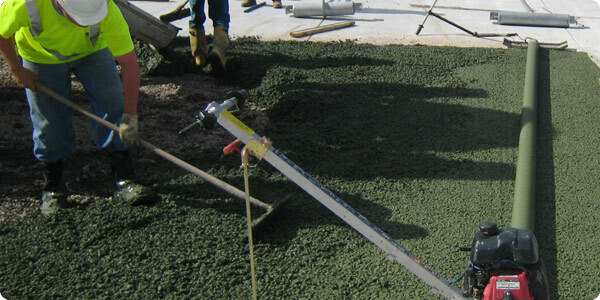 Pervious concrete is becoming increasingly popular because it saves both money and the land needed for development. 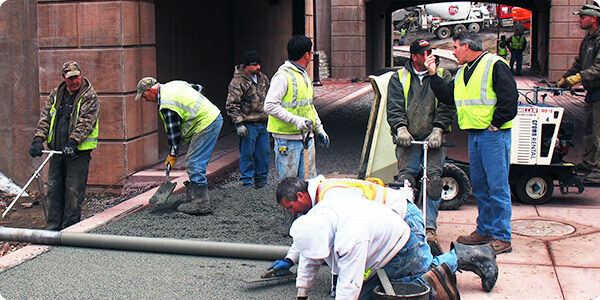 AVR, Inc. & Affiliates has supplied pervious concrete to several projects and has trained contractors in proper placing and finishing procedures. 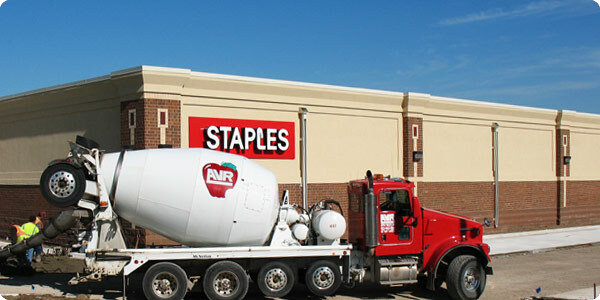 AVR Concrete Pumping is dedicated to providing customers with 100% satisfaction for all of their concrete pumping needs. We are able to handle any size job, big or small; with a fleet of concrete pumps, ranging from 32 Meter (106 feet) reach to 45 Meter (145 feet) reach. 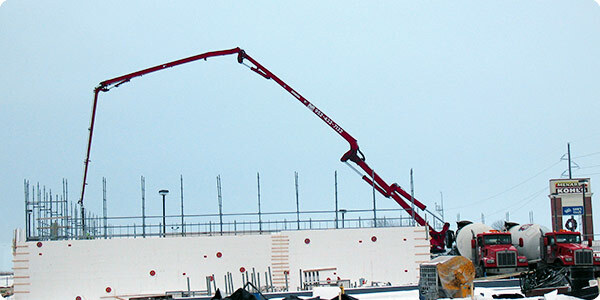 AVR Concrete Pumping has been featured in numerous magazines and has set several concrete pumping records. If you are interested in what we can do for you, please give us a call. 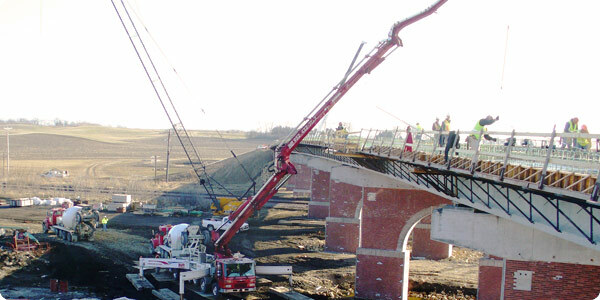 This was the 2007 Aggregate & Ready Mix Association of Minnesota Project of the Year. The three 8 story towers have a concrete infrastructure with cast in place concrete on metal decks, columns and shear walls. Alongside the three towers is a massive 4,000 space parking facility, which is constructed with cast in place post-tensioned slabs and beams, columns and shear walls. 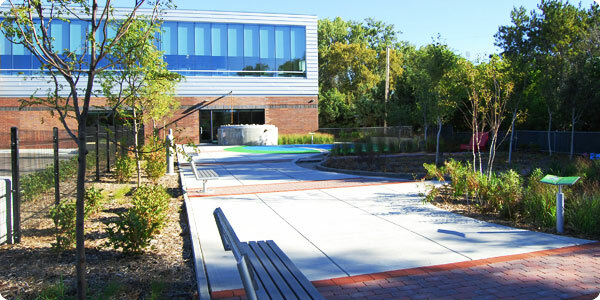 On the outside employees can enjoy the beauty of the natural vegetation planted along a two-mile-long colored concrete walking path that extends around the campus grounds as well as colored concrete reflecting pools, outside break areas, and a beautiful main entrance constructed with black colored concrete. 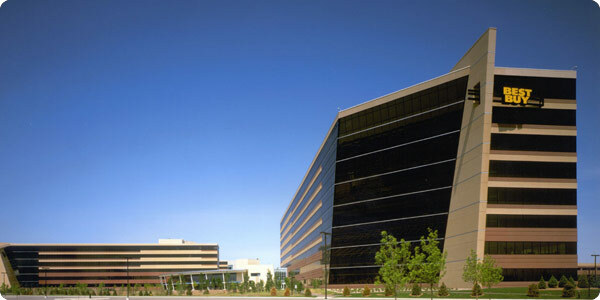 This business campus is the new corporate headquarters for Best Buys relocation and consolidation from other Minneapolis suburbs. One of the more unique design elements of the Best Buy Campus is the 215,000 sq.ft., two-level connector called the Hub. The design intent was to create an environment that is "fun, flexible and productive, while acting as a catalyst for learning, collaboration, community and creative solutions." This 1000-foot long Hub links the four office towers and the 6,700 car, 2 million sq. ft., five-level parking ramp providing a commons and interaction space promoting what Best Buy calls "casual collisions" between employees fostering a sense of familiarity, team and an open exchange of ideas. The campus consists of four buildings developed simultaneously including day care and other retail services for approximately 7,500 employees. 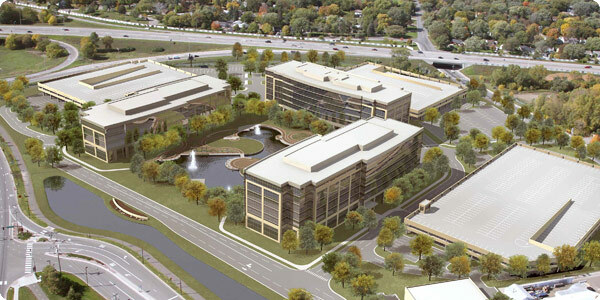 This two-phased development is an extension of United Health Groups headquarters which is located in Minnetonka, MN directly north of the 10-acre project site. The ten story, 356,000 square-foot office building and adjacent 1,800-space parking structure comprise The sidewalks and outside patio area are all black colored exposed aggregate designed to match the black pre-cast façade. This project is LEED certified at the Silver level. 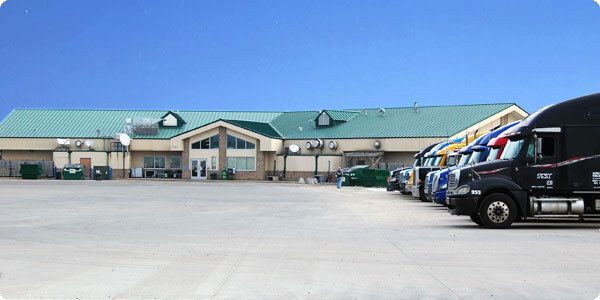 Excelsior Crossings is strategically located on a 30-acre redevelopment site at the northeast corner of US Highway 169 and Excelsior Boulevard in Hopkins, MN. 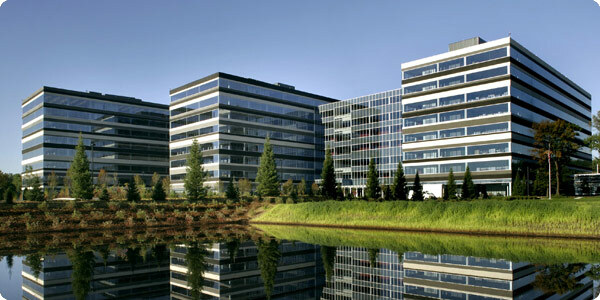 The three-phase, three building complex encompasses approximately 700,000 square feet of Class A office space. The first phase of the three-phase project was under construction in March of 2007 with completion in the summer of 2008. Phase I, Building B, consists of a central seven-story building totaling approximately 260,000 square feet. A center link connects the first two buildings while also accommodating a full-service cafeteria/kitchen area and indoor and outdoor seating. Contractor: D J Kranz Co., Inc. 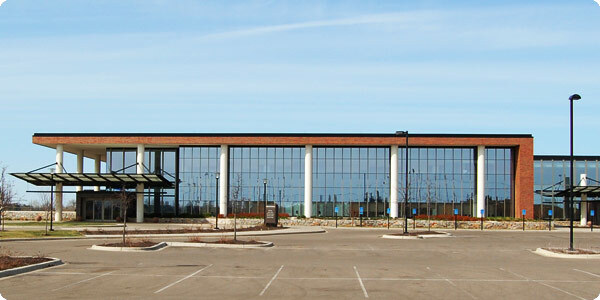 Maple Grove Hospital, located near Maple Grove Parkway and I-94 opened in December 2009. 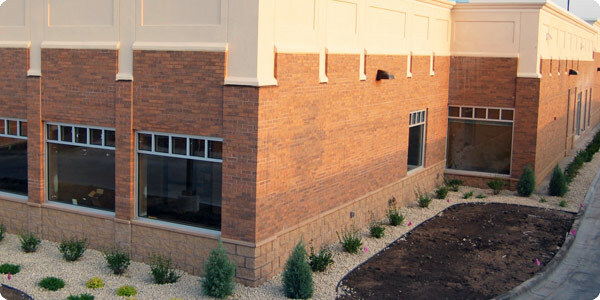 The adjacent North Memorial Medical Office Building and North Memorial Outpatient Center opened last year. A partnership of North Memorial and Fairview Health Services, the hospital is designed with the latest safety features, electronic medical records system, all private patient rooms and spacious, comfortable public areas. Expansive windows look out on surrounding nature areas. The hospital will open with 90 beds, but is built to expand to as many as 300 beds when needed. The construction contractor was DJ Kranz Co., Inc. in cooperation with BWBR Architects. 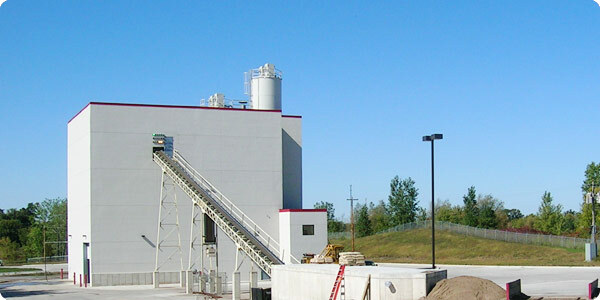 This was the 2009 Aggregate & Ready Mix Association of Minnesota Project of the Year. This project is actually 4 projects in one. It consists of a 5 story PT parking ramp, a new 5 story Children's Specialty Center, an east side medical offices addition, and an east side ramp. With over 30,000 yards of concrete, this project has everything. 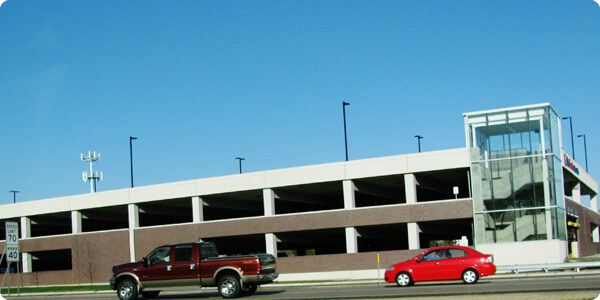 PT parking ramp, Pan & Joist parking ramp, lightweight concrete, and extensive use of integrally colored concrete. This project also used an innovative pre-blended micro silica product in the PT deck to help with placement during the hot weather. 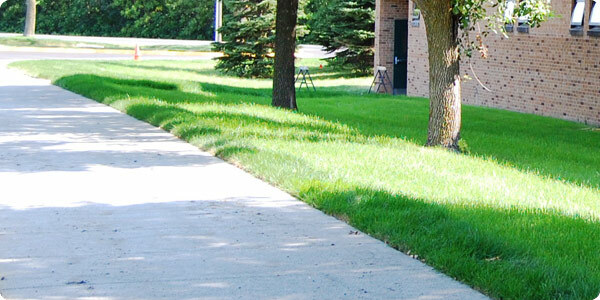 Keeping sidewalks safe in winter is a key concern for any medical facility To accomplish they are constantly seeking out, evaluating, and adapting new winter maintenance strategies that are cost effective and environmentally friendly. The deicing chemicals of choice are typically magnesium chloride, sodium chloride, and calcium chloride. These chemicals have been shown to be extremely hard on concrete. This project will hopefully fix the problem of having to replace the sidewalks every 3-5 years by giving the hospital a more durable, salt resistant sidewalk. We needed to create a mix that would give the hospital a more durable sidewalk that was also resistant to the new deicing chemicals. We also had to match up to existing sidewalks so color and surface appearance was important. We used microsilica and fly ash in the sidewalks to slow down the ingress of chlorides (essentially a PT parking deck mix). These mixes typically do not receive the level of finish that is need for a sidewalk, so we used a blend of admixtures to achieve a workable mix. The Fairview Ambulatory Care Center is part of an overall master plan to address the healthcare needs in the fast-growing suburb of Maple Grove. The 126,000 SF ambulatory care center with structured parking focuses on providing out-patient services, with future phases to include in-patient services. The facility is oriented to take advantage of the site's natural amenities. The clinic respects the natural features of the 26-acre site and further reinforces amenities serving both the campus and broader community. The project consists of a 64 foot high ICF plant along with the 60’ x 140’ 6 bay ICF garage, both of which have energy efficient in-floor radiant heat. There is also approximately 250,000 ft2 of concrete pavement as well as a decorative stained concrete bunker retaining/screen wall surrounding the entire 12.5 acres. This project will benefit AME Red-E-Mix for years to come. AME Red-E-mix is just beginning to see the cost savings they will receive by using ICF construction and in-floor radiant heat. All of their clients will benefit as well just by knowing that AME Red-E-mix truly believes in what they sell. 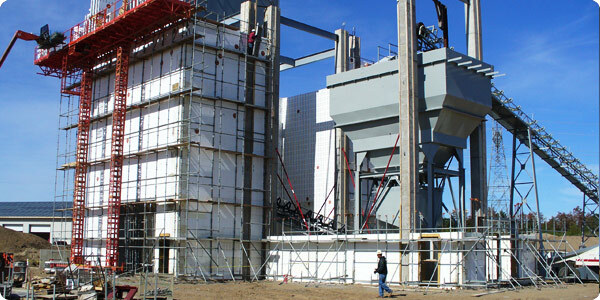 The construction of this plant will further the promotion of ICF and other concrete construction practices. One good way to promote concrete is to use it in every way you can possibly think of. 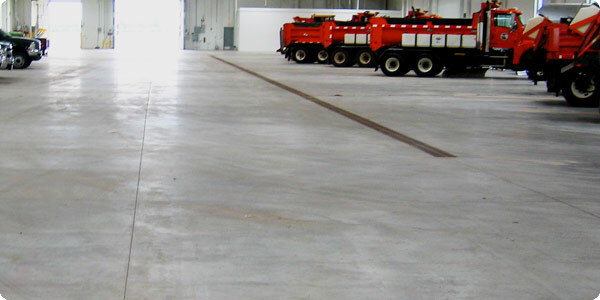 AME Red-E-Mix utilized concrete throughout this entire project and did exactly that. The project consists of a 60 foot high ICF plant along with the 60' x 140' 6 bay ICF garage, both of which have energy efficient in-floor radiant heat. There is also approximately 160,000 ft2 of concrete pavement as well as concrete bunker retaining/screen walls. When built, this project was the one of the tallest single story ICF building in North America at 64’2” tall. It was a major challenge to construct 64 foot tall ICF walls and columns with very little or no support to shore off of. This is the first plant that we have built with a concrete wash water recycling system. This plant will be the first plant that we plan to be completely closed-loop. All of the waste generated will be reused back into the concrete or it will be used for recycled concrete base. This project is a showcase of what our customers and building owners can expect from an ICF Building. We constantly educate our customers on the energy benefits and cost savings associated with ICF construction. 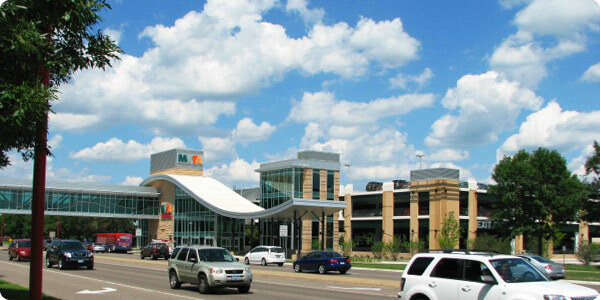 This project was one of the last buildings and parking lot to be built in Fischer Marketplace. We use this development to promote concrete and show owners what they can expect ICF buildings that are designed, placed, and cured correctly. The Staples project also consists of a large concrete parking lot with colored and stamped sidewalks and entryways. A cast in place concrete parking lot is one of strength, built to last a lifetime. This project sits adjacent to our main office, and we can use it as a showcase of what our customers and building owners can expect from a quality concrete pavement. This project helps show that when the pavement are designed, placed, and cured correctly, they will last a lifetime. This project is a showcase of what our customers and building owners can expect from an ICF Building. This project is one of many projects in a high profile and busy development, which will help to showcase the benefits of ICF construction as well as other innovative uses of concrete. Contractor: Ryan Companies US Inc. 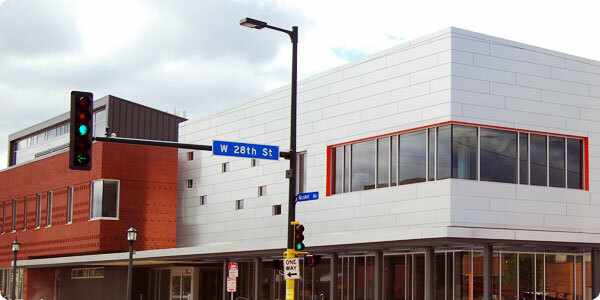 This project won a 2008 ARM of Minnesota - Building Excellence Award. 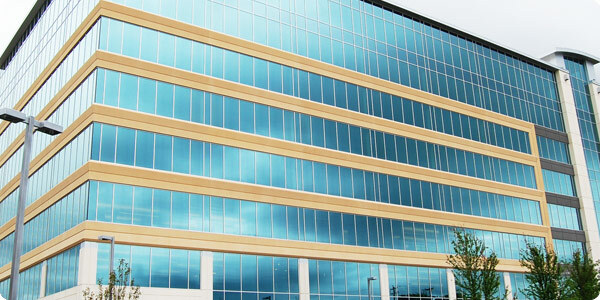 Two MarketPointe is a class A office building that will include a full service bar and restaurant, convenience store, fitness center, and underground parking. 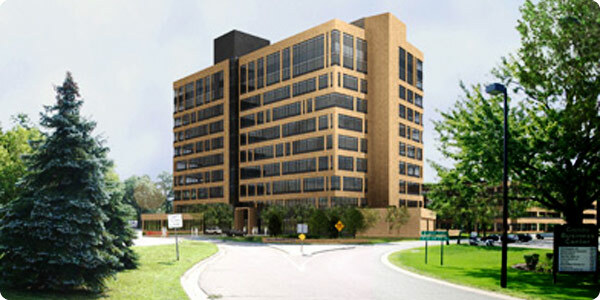 The complex is designed to include a phase II tower, which will be connected to the two story lobby. 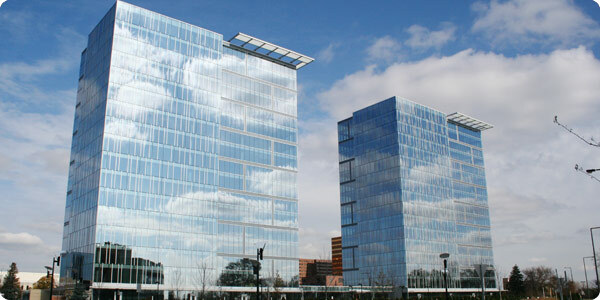 Two MarketPointe is an office building for the modern era. It has moveable wall and a plug and play modular infrastructure to promote flexibility for tenants. The project will also be LEED certified at the gold level. 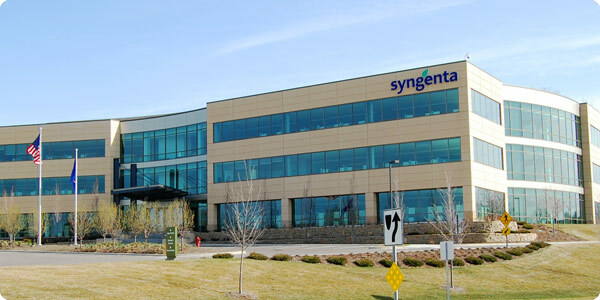 This project just won two Minneapolis-St. Paul Business Journal's Best in Real Estate Awards for Best Office Development-Multitenant and Best Green Project. The centerpiece of Bloomington Central Station is Reflections Condominiums, with its 267 condominiums in two beautiful, 17-story glass-clad towers. Floor-to-ceiling glass exteriors, unique floor plans, and dramatic design characterize Reflections at Bloomington Central Station. Reflections condominiums overlook the Minnesota Valley National Wildlife Refuge on one side, and the Minneapolis skyline on the other. Reflections achieved LEED® certification, the first high-rise condominium in Minnesota to receive this recognition. The Minneapolis-St. Paul Business Journal voted Reflections as BEST OVERALL WINNER and NEW RESIDENTIAL CONDOS-LARGE WINNER at the Best In Real Estate 2005 Award Show. 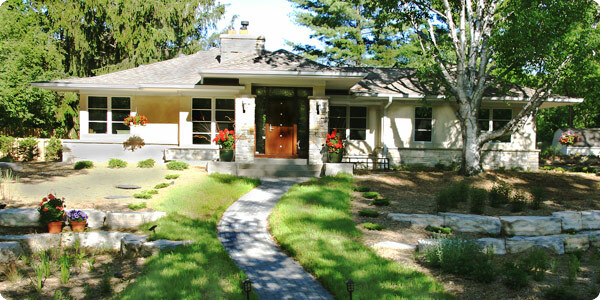 Live Green, Live Smart's The Sustainable House™ is a participant in the LEED for Homes Pilot Project™. The concrete foundation and floor slab contain 40% recycled fly ash, a by-product of coal fired electric production usually sent to landfills, to improve durability of construction. This project includes solar panels, geothermal, and as much recycled material as possible. Live Green, Live Smart's The Sustainable House™ is the nation's first home remodel/addition to achieve LEED Platinum certification - the highest level of efficient design. The Live Green, Live Smart's The Sustainable House™ is also the first Minnesota GreenStar Gold level home. It will soon be featured on the Discovery channel and HGTV as the greenest home in the world. Macrofibers were used extensively on each floor with no other reinforcing to control cracking. 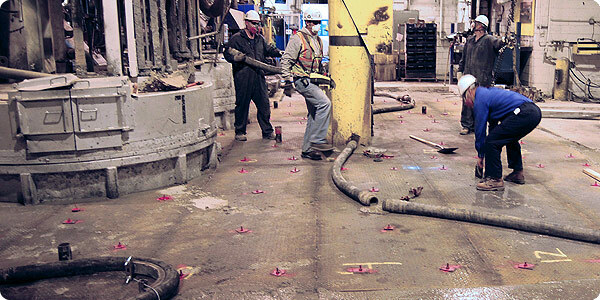 Opus wanted to complete a study to determine what structural fiber and at what dose would best help them minimize shrinkage cracking on the elevated decks. We used 6 different fiber and dose combinations to replace the typical wire mesh on this project. This project achieved LEED Gold Certification. 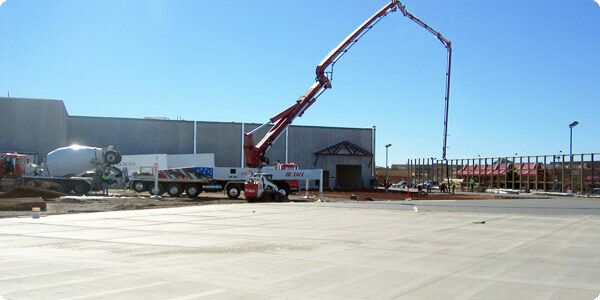 McGough Companies utilized concrete throughout the entire project. They used concrete in many architectural ways to turn what could be a very boring looking library into a work of art. This project showcases the canvas that concrete provides to display architectural creativity. This is also a LEED Gold certified building and more than 75 percent of the original building was reused. Without a building addition, the library in Roseville will not be able to keep up with the extremely heavy and rising demand for service. Ramsey County approved a $15.6 million budget to renovate the library in Roseville and build a 30,000 square foot second story addition. Ramsey County has purchased seven vacant residential lots to the north of the Library. County Library is leading by example with deliberate inclusion of environmental and economical design elements in the Roseville library renovation. 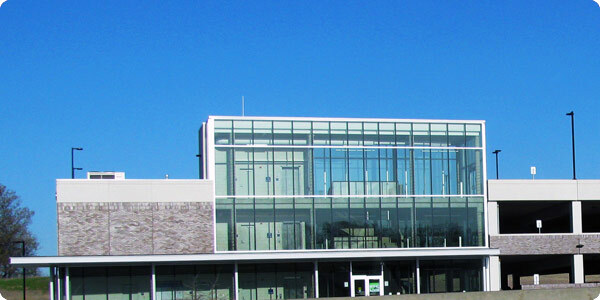 In order to ensure the highest quality of sustainability, the Library was designed using the U.S. Green Building Council's (USGBC) LEED rating system. On February 3, 2009, the Ramsey County Board of Commissioners voted to pursue LEED certification. To achieve goals toward sustainable building design, Ramsey County Library applied for and received $780,000 in grants. The library in Roseville will be the first Ramsey County LEED certified building. 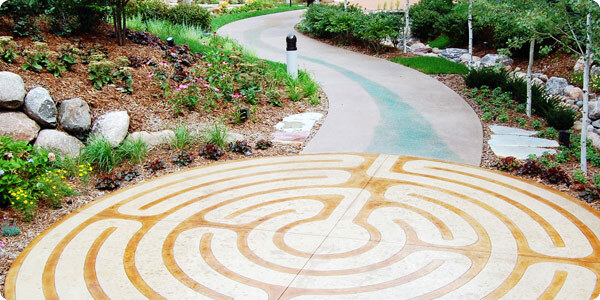 This project showcases the next step in decorative concrete. The exposed aggregate is actually thousands of tiny glass pieces that are broadcast and finished into the surface of integrally colored concrete called Lithocrete. In the past, keeping small ASR (Alkali Silica Reaction) or “reactive” aggregates (GLASS) embedded in the surface of concrete paving was difficult. However, Lithocrete®'s patented innovative paving process permanently bonds “reactive” as well as “non-reactive” aggregates. This project is one of the largest integrally colored concrete driveways that we have ever done. The cost of the driveway was never an issue for the owners, but they were adamant that it needed to be completed to the highest standards. The entire project team was informed that any differences in color, finish, and even the sheen of the gloss sealer would not be accepted. A hydration stabilizer to control the slump loss and Buckeye Ultrafiber 500 to help control plastic shrinkage cracks. This project won a 2007 ARM of Minnesota - Building Excellence Award because TAG construction used concrete in a way that is appealing to the eye and sets this residence apart from every other one in the neighborhood. The Marquette and 2nd Street Reconstruction project is the first of several projects that will reshape transportation in downtown Minneapolis. It is also the first major project to be constructed in the Downtown Transportation Action Plan, which was adopted by City Council in June 2007. When this project is completed, North-South commuter express buses will be moved from Nicollet Mall, 3rd Avenue South and other North-South streets to Marquette and 2nd. 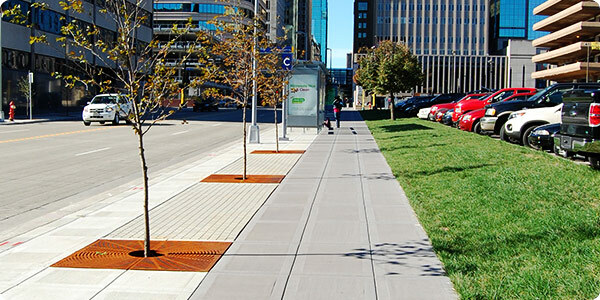 This project used concrete in the rehabilitation of the sidewalks, curb, and gutter in downtown Minneapolis. The sidewalks stand apart from conventional layouts with their broom finish and tooled joints. 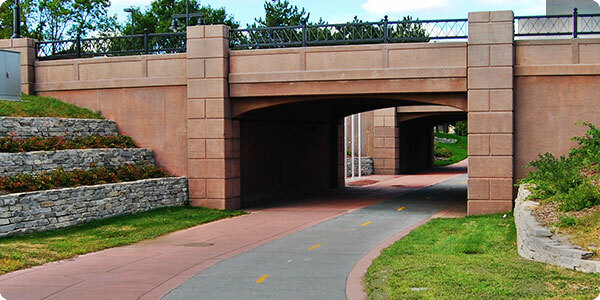 The main walk areas are delineated from bike parking, bus shelters and boulevard areas by using the subtle color difference resulting from mixes with and without fly ash. This project is located in a high end neighborhood where the look of your home and landscaping are very important to the homeowner. If you take one look at this unique pool deck and the matching patio, the answer is easy. No other product on the market could look this good. TLS Custom Concrete used concrete in a way that is appealing to the eye and sets this residence apart from every other one in the neighborhood. McGough Companies utilized concrete throughout the entire project. They used concrete in many architectural ways to turn what could be a very boring looking clinic into a work of art. The inset tiles in the exterior cast-in-place concrete walls created a piece of exterior artwork visually appealing to the surrounding neighborhood. This project showcases the canvas that concrete provides to display architectural creativity. K Johnson Construction used concrete throughout the entire project. The exterior site work includes concrete walks, while the massive interior floor slab provides plenty of room for truck parking, mechanical truck lifts, and two wash bays. 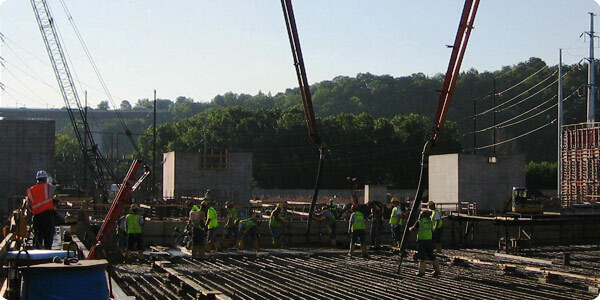 By using concrete, K Johnson Construction was able to maintain a fast paced construction schedule by limiting the number of subs needed to build the structure. This also gave them the ability to build a strong, durable building that will last a lifetime. The North Star Corridor is an 82-mile transportation corridor that runs along Highway 10 from the St. Cloud area to downtown Minneapolis. It is one of the fastest growing corridors in Minnesota and the nation. In fact, it is projected that there will be more than 850,000 people living in the corridor by 2025. 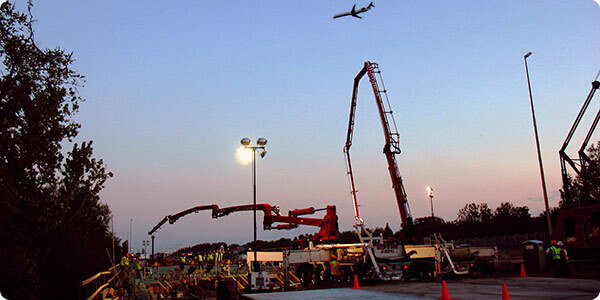 Delivery of ready-mixed concrete to the site was a challenge as space was limited. Much of the site was reserved for and adjoining structure and storage of limited materials needed for construction. This building is a concrete showplace. It sits adjacent to the Heart of the City Park in Burnsville and as you can see for the pictures it looks beautiful day and night. The building consists of 60 foot tall SCC walls, High strength columns, and a lot of architectural exposed concrete. The exterior site work includes exposed aggregate concrete walks, colored concrete and extensive retaining walls/landscape features to tie it into the Heart of the City Park. 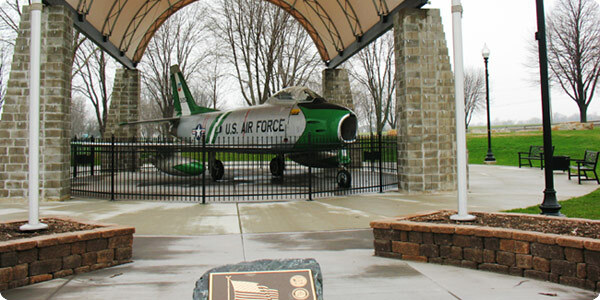 On Veterans Day, Nov. 11, 2006, a memorial displaying an F-86H Sabre jet was dedicated to Lakeville's Veterans at Aronson Park. 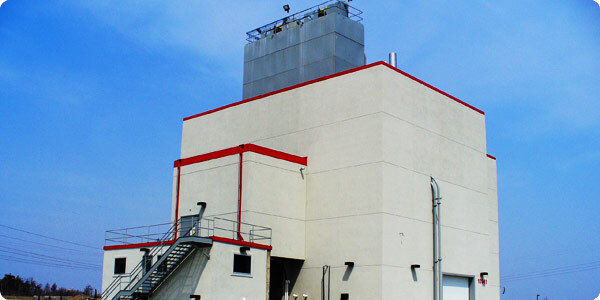 A wastewater treatment plant is a vital component of a city's infrastructure. The Brooklyn Park Wastewater Treatment Plant is a massive concrete structure. It contains large mat foundation slabs, 18 inch thick circular tank walls, and tank roof slabs. McGough Companies utilized concrete throughout this entire project. They used concrete in many architectural ways to turn what could be a very boring looking library into a work of art. This project showcases the canvas that concrete provides to display architectural creativity. 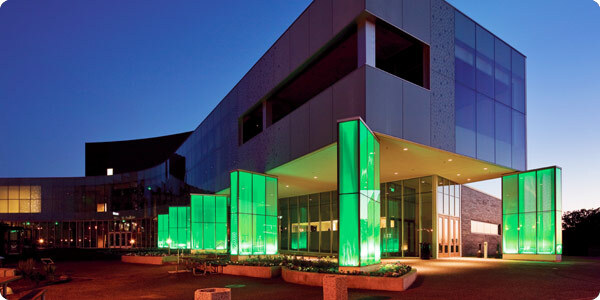 This is also a LEED Gold certified building and more than 75 percent of the original building was reused. The project includes a 5 story 1,500 space parking ramp, 2000 square feet of retail space, and a plaza between the parking ramp and the light rail transit station. Now complete, it is the largest Metro Transit ramp. The majority of the post-tensioned concrete on this project was placed during cold weather. 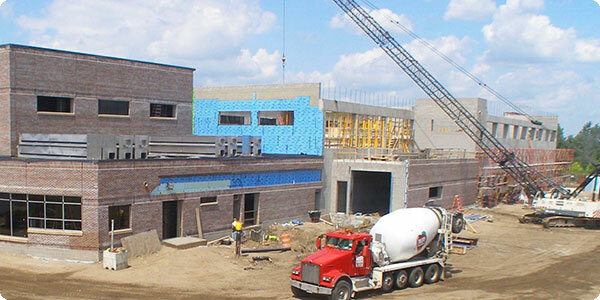 We were able to help Knutson Construction by designing a mix that allowed them to place the concrete in complicated formwork with satisfactory slumps and set times. We used the same mix from May through January and the contractor was able to stress in 24 hours. 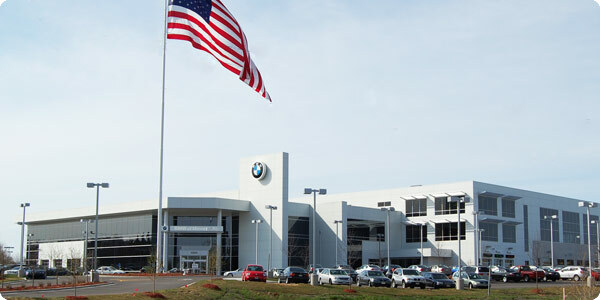 BMW Minnetonka consists of a 3.5 story parking ramp with a two story showroom. The project also contains a 12 seat movie theater, multiple waiting areas and room for hundreds of new and used cars under one roof. After refusing to allow new car dealerships on Interstate 394 for 20 years, Minnetonka opened a spot for BMW because it promised to store half of its inventory in an enclosed parking ramp. The main challenges on this project were access and winter construction. This project was essentially built on a swamp so access on the one lone road into the project site was limited. The entire slab on grade needed to be post tensioned due to lack of subgrade support. Also, some of this project was hauled during load restrictions where we can only haul 3 yard loads. The project includes a 3 story 750 space parking ramp and a plaza between the parking ramp and the bus transit station. This ramp was one of the first ramps to be completed as part of the Urban Partnership Agreement project, a federal-state partnership that aims to reduce traffic congestion in the Twin Cities. The slab on grade section of this ramp includes a large test section using a new waterproofing/corrosion inhibitor called Hycrete.This text section will allow Metro Transit to gain a greater perspective of corrosion technology in parking facilities in a relatively low risk environment. 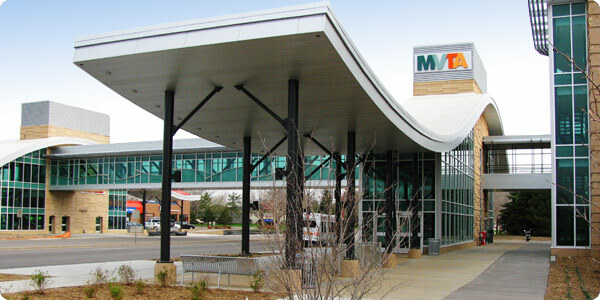 The Apple Valley Transit Station opened in January 2010. This station features 750 surface and structured spaces, indoor climate-controlled waiting, restrooms and transit information. Buses pick up and drop off right on Cedar Avenue, with riders crossing from the southbound drop off via the pedestrian overpass to get back to their cars. We worked with Northland Concrete and Masonry to come up with a microsilica mix design that was “finisher friendly” even during the hot summer months. We used SF pre-blended microsilica cement manufactured by Lafarge and 20% fly ash to help with finishability. 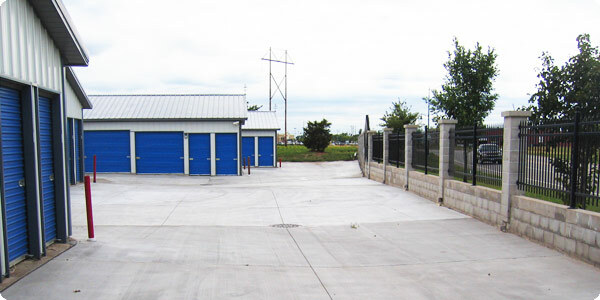 This was a great project because Double J Concrete and AVR worked together to convince the owner that a concrete parking lot was far superior to an asphalt one. While the majority of the lot was already concrete, it was a difficult choice in this economy to replace the existing asphalt with concrete. We had to convince the owner that concrete was his best choice as a paving material. With the down economy, and escalating construction costs, it is getting more and more difficult to sell the upfront costs of a concrete parking lot. We met with the contractor and owners to educate them on the long-term cost benefits and durability advantages associated with concrete. The end product met all of our and the owners expectations. This project is a showcase of what our customers and building owners can expect from a quality concrete pavement. We constantly educate our customers on the importance of low water/cement ratios, quality aggregates, and proper finishing techniques. This project helps show that when the pavement are designed, placed, and cured correctly, they will last a lifetime. The city of Osseo decided as part of their city beautification project to replace the old, worn out asphalt Central Avenue with concrete paving, decorative concrete pavers and pervious pavers. It is amazing to see the difference the brightness of the concrete makes to the look of downtown Osseo. 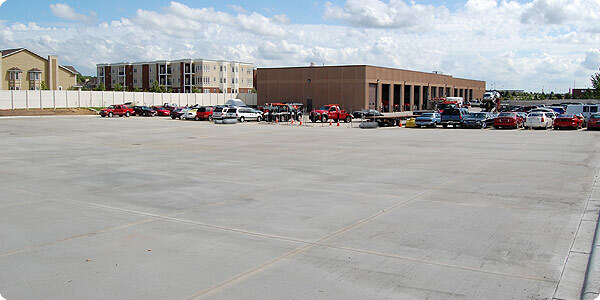 This project was built because Special Touch Construction and AME Red-E-Mix worked together to convince the owner that a concrete parking lot was far superior to an asphalt one. The owner of Monticello Mini-storage has always been a fan of concrete but thought that the price was more than he could afford. We met with the owner and the contractor and discussed a cost-benefit analysis, showing him the long term benefits of choosing concrete. The owner was also happy about the light color and reflectivity of the concrete versus the asphalt, making the parking area more aesthetically pleasing and much safer. The project consists of over 225,000 square feet of interior and 150,000 square feet of exterior slab on grade. Most of the concrete was placed during the summer months with very few issues, and the exterior concrete slab on grade really showcases the strength of concrete pavement construction. Parking lots are often overlooked for their impact on the first impression a building. This parking area encompasses the main entrance to the Allianz Life corporate offices. The owner selected concrete to create an inviting bright entrance while providing a durable pavement to withstand the turning traffic of the circular drive. The saw cut control joints divide the broom-finished surface into clean crisp squares, which compliment the clean geometric lines of the building facade. Kelleher Construction and AVR worked together to demonstrate to the owner the superiority of a concrete parking lot over an asphalt one. While a large section of the lot was already concrete, it was a difficult choice in this economy to replace the existing gravel lot with concrete instead of asphalt. 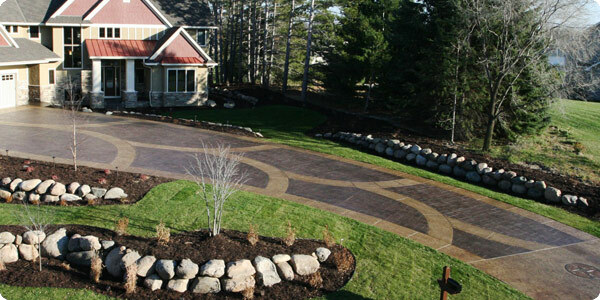 This was the first pervious project for contractor CR Fischer & Sons. The 300 plus feet of 8 foot wide pervious walkway and bike path was placed using power buggies and finished with a roller screed. We used viscosity modifying and hydration stabilizing admixtures to give the contractor a mix that was easier to place and give them additional time to place and finish the pervious. 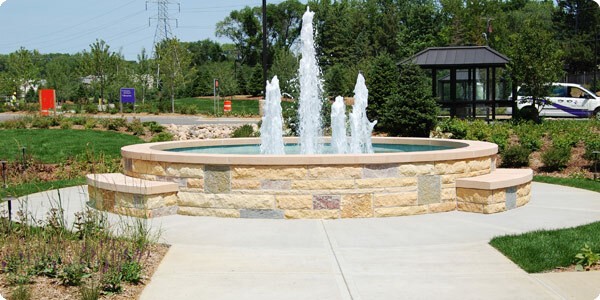 We also used French Grey integral color to coordinate with the look that the city of Edina was trying to achieve. For this project we were working with a contractor and an owner that were unfamiliar with pervious. We spent a good deal of time educating the project team on the do's and don'ts of pervious. We hauled the concrete from Burnsville to Orono during the summer with temperature approx. 75-80 degrees. We used a proprietary pervious mixture using various chemicals to increase the paste/aggregate bond, flowability, and placeability of pervious concrete. This allowed the contractor to place the pervious with standard finishing tools. 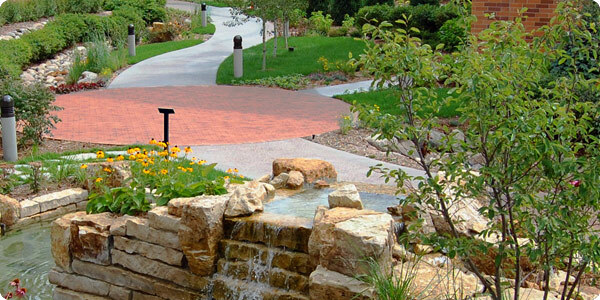 This project showcases the role pervious pavement plays in meeting the challenging requirements of stormwater management. The parking lot for the City of Bloomington public works building needed replacement and was landlocked by impervious pavements. 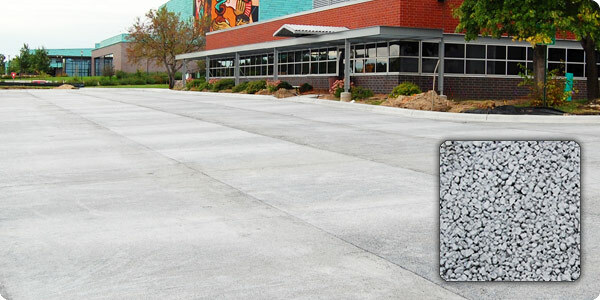 The City of Bloomington selected pervious concrete as their material of choice to provide a durable parking surface and serve as an effective drainage system. 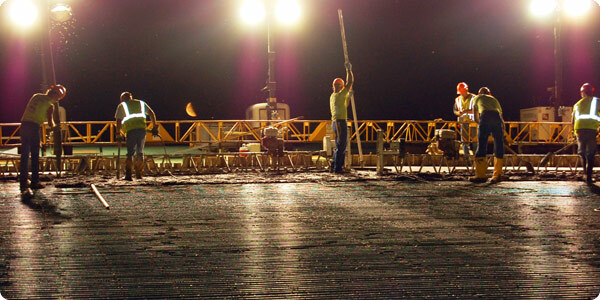 Highlights: Three 2500 cubic yard mat slabs were placed at an average rate of 500 yards per hour. AVR supplied the concrete and three pumps with a maximum placement rate of 600 cubic yards an hour. Highlights: This project is a showcase of what our customers and building owners can expect from an ICF Building. This project is one of many projects in a high profile and busy development, which will help to showcase the benefits of ICF construction as well as other innovative uses of concrete. 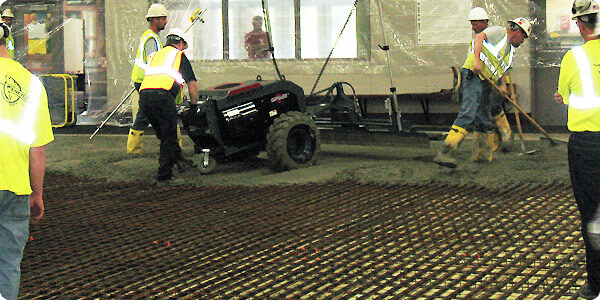 Highlights: SCC concrete at a 30” spread was pumped through ports in the one inch thick steel plated floor. It was crucial that there were no voids between the floor and the pumped concrete after completion. 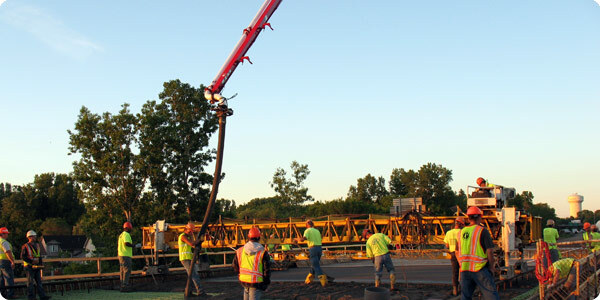 State highway agencies are increasingly specifying High Performance Concrete (HPC) to build or rebuild bridges. 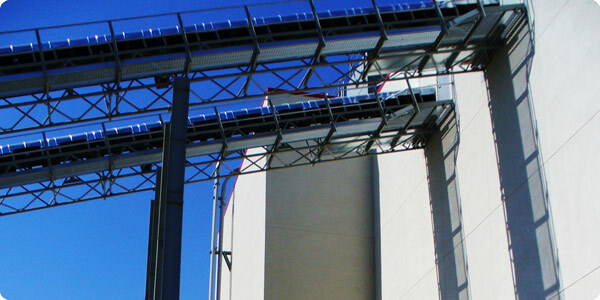 HPC uses the same basic materials as conventional concrete, but the mix proportions are engineered to meet the specific demands of an individual project. 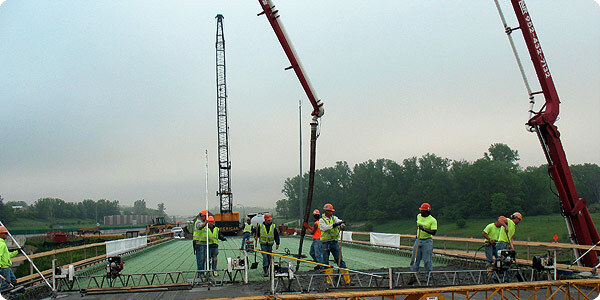 In an effort to facilitate performance-based specifications, MnDOT selected the I-694 bridge deck over TH-5 as its first project in the state to specify High Performance bridge deck concrete mixes designed by the contractor. 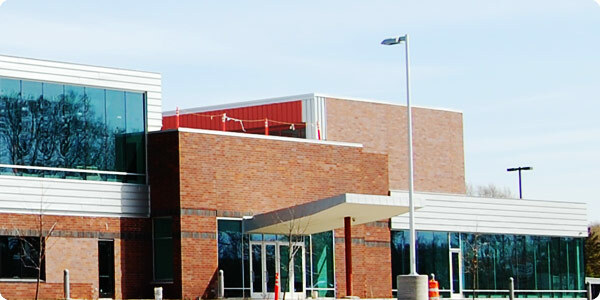 AVR worked closely with Lunda Construction to develop the HPC mix to enhance constructability and meet the strict performance criteria per the MnDOT specifications.